We visited Wschód (Eng. Sunrise) Bar in Krakow’s district of Kazimierz. 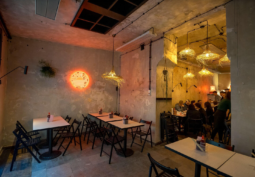 We immediately got to like its informal atmosphere, the wabi sabi interior design and the delicious Asian streetfood. If you are looking to rent a desk in an unconventional co-working space, you need to check Jaśkowa Dolina Street in Gdańsk. 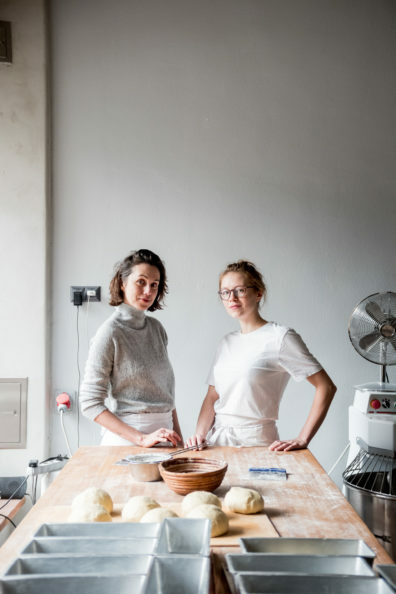 It is there that two girls, who work in the creative industries, established Świetlica Collective Space. Aleksander Baron – a one-man band, and a well-known and recognised chef. He has been nominated the main chef at the ZONI restaurant, the new restaurant, which is just about to open at the Polish Vodka Museum in the Praga Koneser Centre. We are in a beautiful, wide space in Stalowa street – one of the prettiest and still underrated streets of Warsaw’s Praga district. We have an impression that Stalowa could equally be located in Berlin’s Neukolln. It is easy to believe, especially when we look at it while drinking a filter coffee and eating a thick slice of fresh bread with country butter from the Rano Bakery (Eng. Morning Bakery), which opened in July. For the first time USTA Magazine invites you to the “Eye on…” event in Krakow. Another episode of our series of events organised together with PURO hotels will take place on September 22. Come and join us! he bar and restaurant UL (Eng. Beehive) in Poznanska street has undergone a real metamorphosis and has now become UL Yafo. 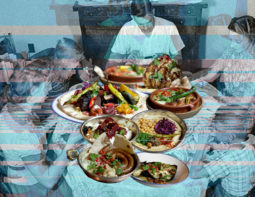 On that occasion, Polish artist Laura Pawela made a series of collages blending ancient photographies from Tel Aviv Jaffa and the contemporary aesthetics of computer error. After months of intense work we can proudly announce that we have opened our own bistro. We serve vegan food, third wave coffee, orange wines and we have a small greenhouse with succulents, and artisanal ceramics – everything we love most gathered in one place. This is our Eden. Come visit us in Saska Kępa!